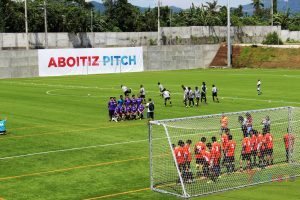 For years now, sports fans in Cebu have been treated to high quality and intense football matches courtesy of the Aboitiz Football Cup. 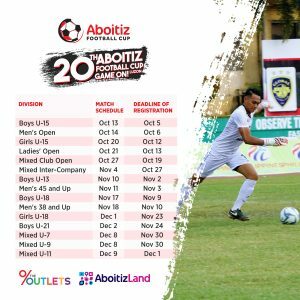 While there have been tournaments here in Lipa City and in Luzon, football players and fans have been waiting for something like the Aboitiz Football Cup. 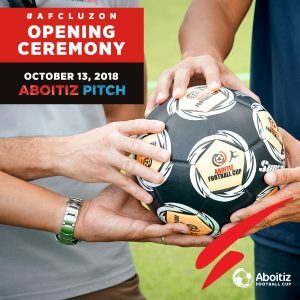 Well, our wait is coming to an end, as the Aboitiz Football Cup – Luzon is set to open this October 13 at The Aboitiz Pitch of The Outlets at Lipa. 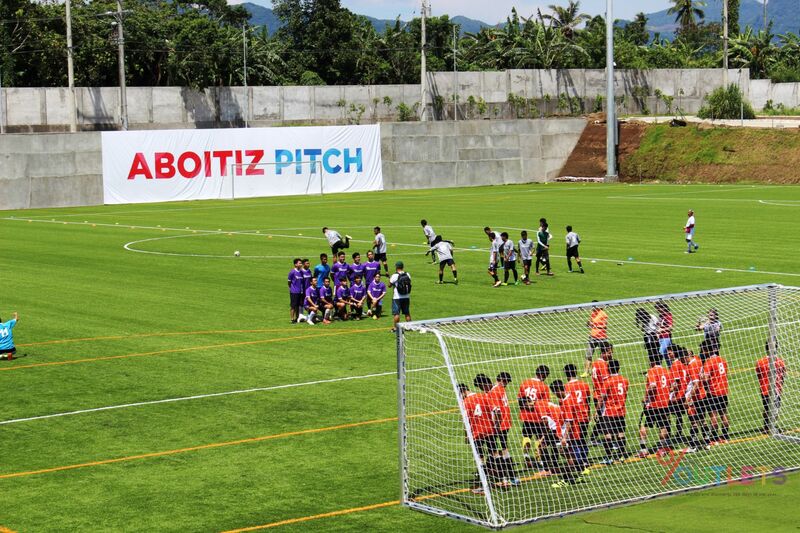 The Aboitiz Pitch is the largest artificial turf in Luzon. This brand new pitch is part of The Outlets at Lipa – a shopping center that’s poised to become the biggest shopping destination in Luzon. 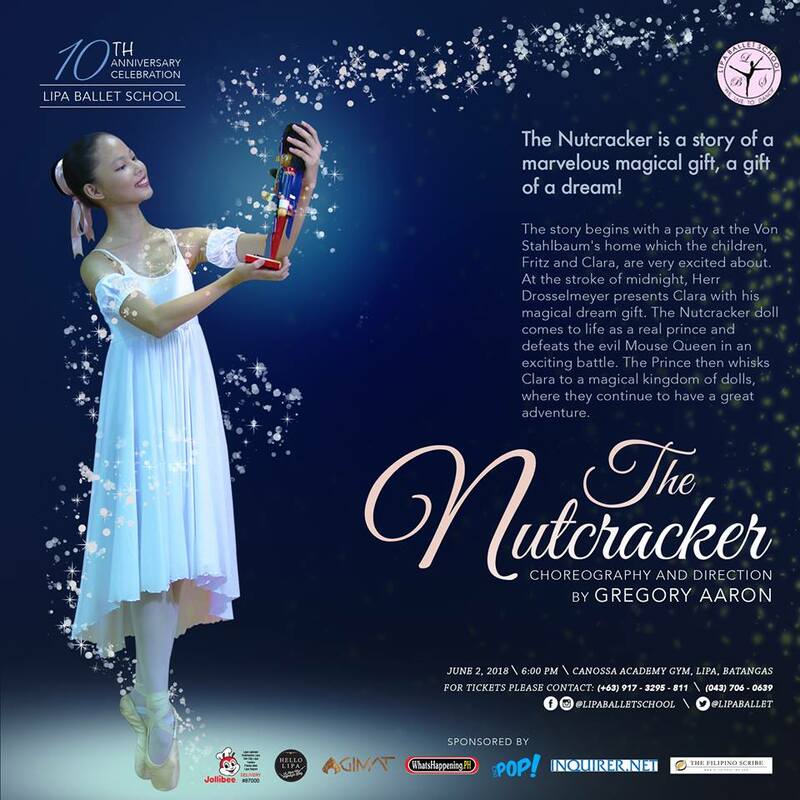 Starting this October 13, teams from Lipa City and nearby cities and provinces will take part in a festival like no other. 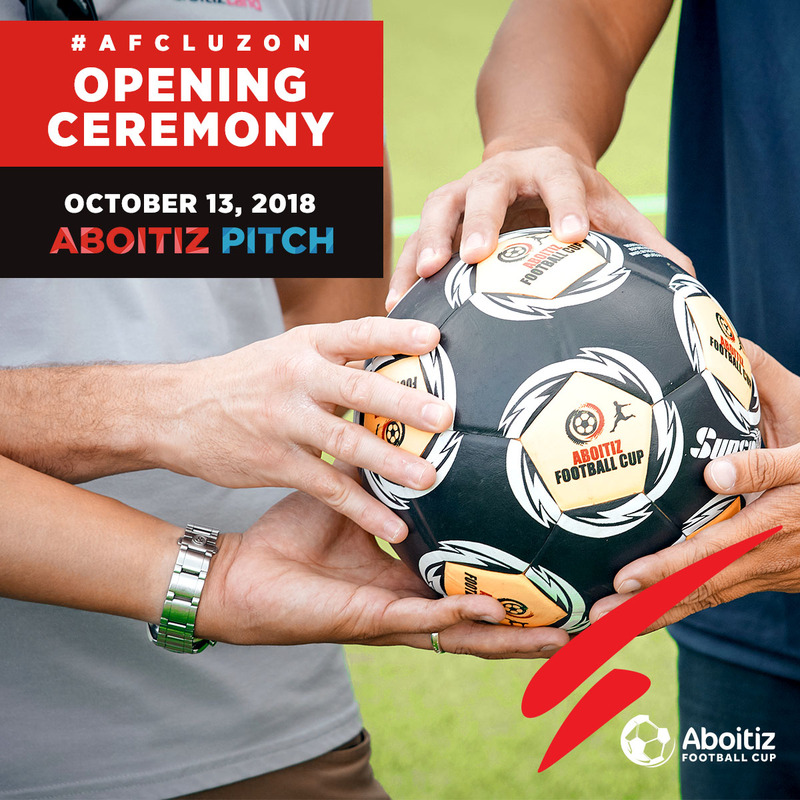 History will be made on that date as well, as it’s the first time that the Aboitiz Football Cup will be held in Luzon. 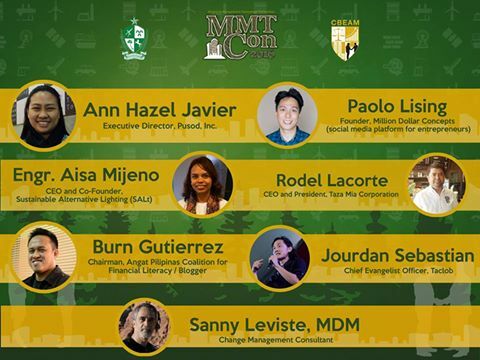 As Lipenos, we should be proud that the Aboitiz Group decided to establish a world-class pitch here. This means that the growing football community in Lipa now has a football pitch that we can call our home. The opening ceremony will start at 8 AM and competing teams and their fans are invited to attend. Of course, everyone is invited to partake in the festivities. It’s about time that we get to watch football as it’s meant to be enjoyed. 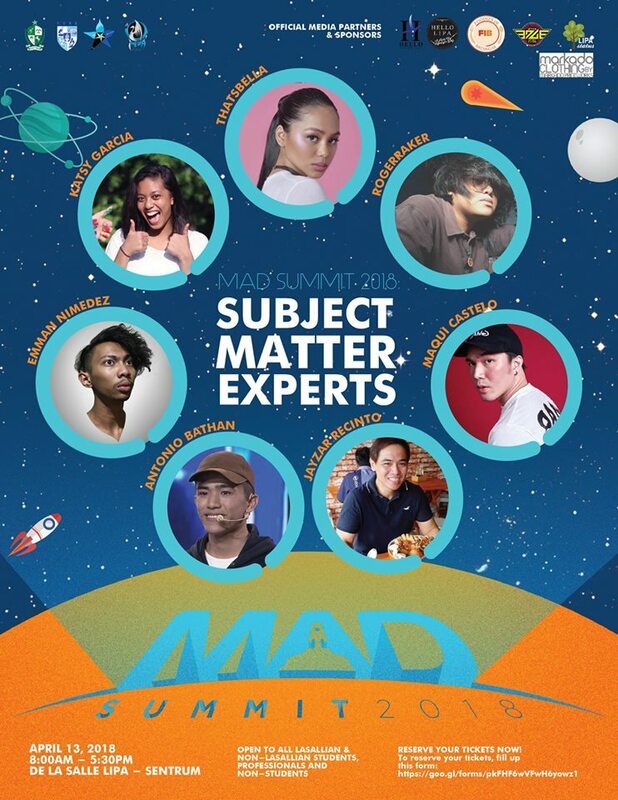 Admission is free! Right after the opening ceremonies, competing teams in the Boys U-15 Division are expected to battle it out. There are 15 divisions all in all. After watching the games, feel free to walk around The Outlets at Lipa and feel the excitement as it nears its grand opening. 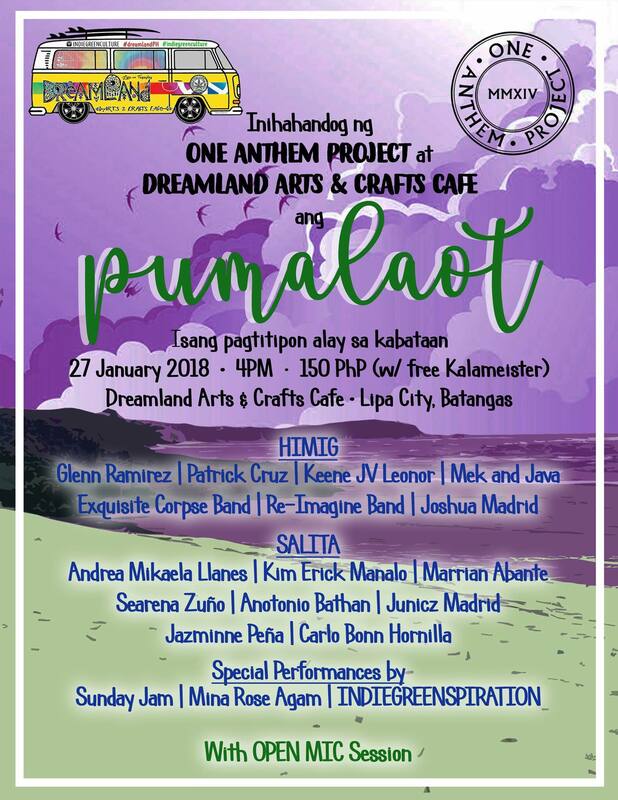 Right now, you can try Choobi Choobi and Giligan’s after enjoying the opening day festivities. 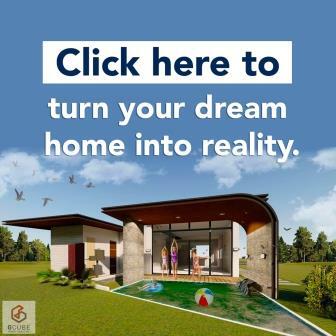 If you want to join, download the registration kit here. 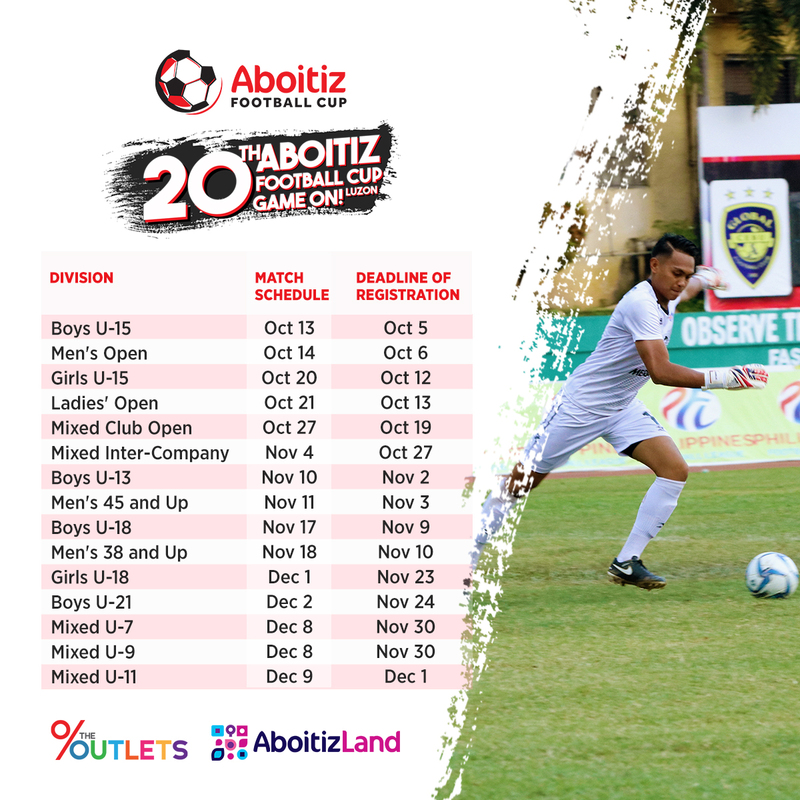 For more details, follow the Aboitiz Football Cup and The Outlets at Lipa on Facebook.